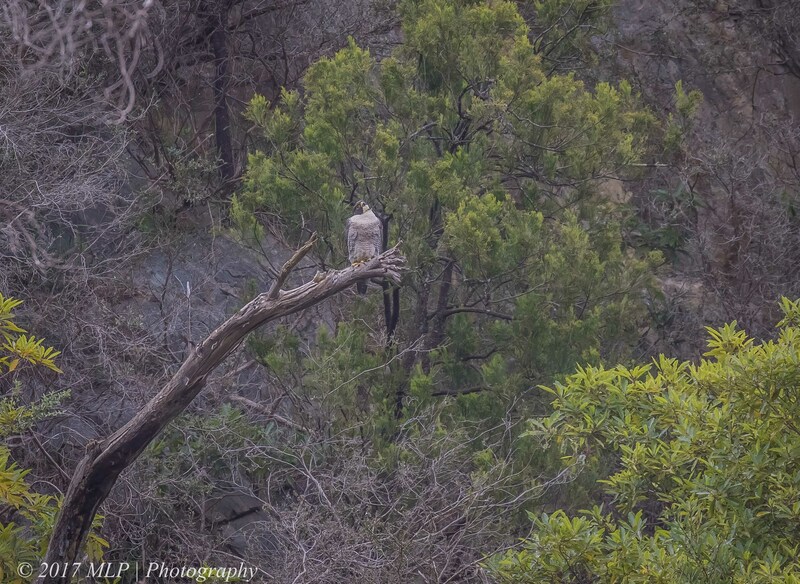 On my last visit to Moorooduc Quarry I watched as the Peregrines flew across the water and retrieved cached food. One of the falcons flew to a ledge where I suspected it had chicks. 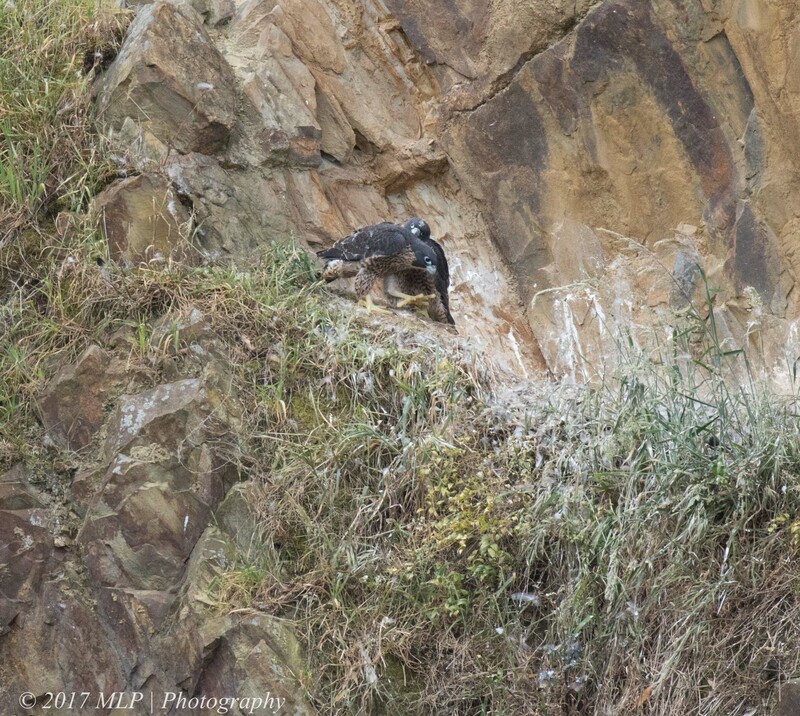 I returned to the quarry on Tuesday afternoon and immediately spotted two good size Falcons standing on the ledge watching me. 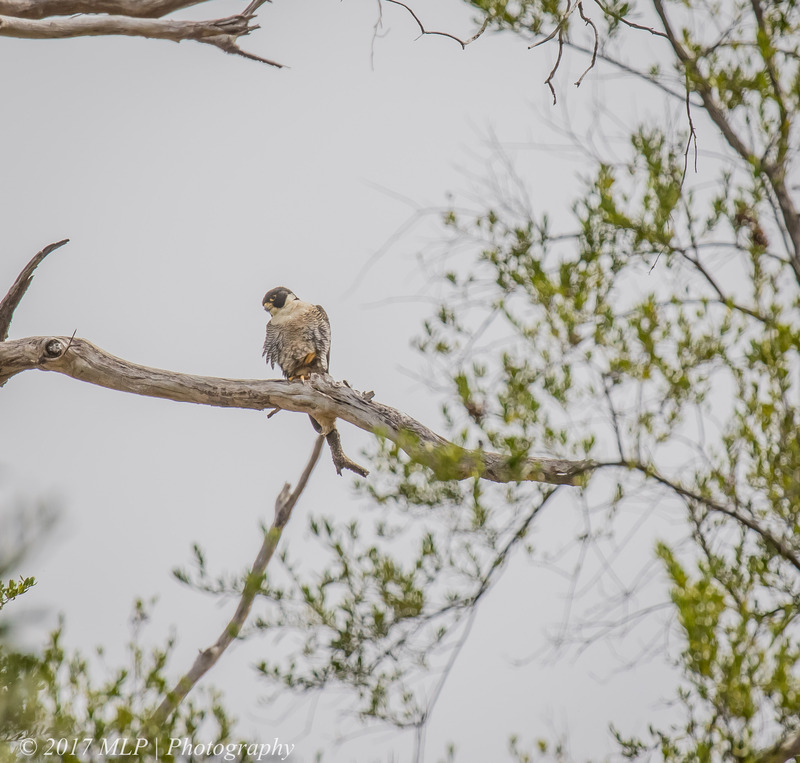 At first I thought they were adults due to their size but on viewing with my binocs I saw the mottled colouring and realised that they were juvenile falcons. I spent some time watching them and then thought about where the parents might be. I turned around to look up at the quarry cliffs and the tall trees and behind me found an adult just staring at me. It soon lost interest as I was too far away to be a threat to it or its chicks. Looking further around the rim I found the other parent high up on a tall gum keeping guard. 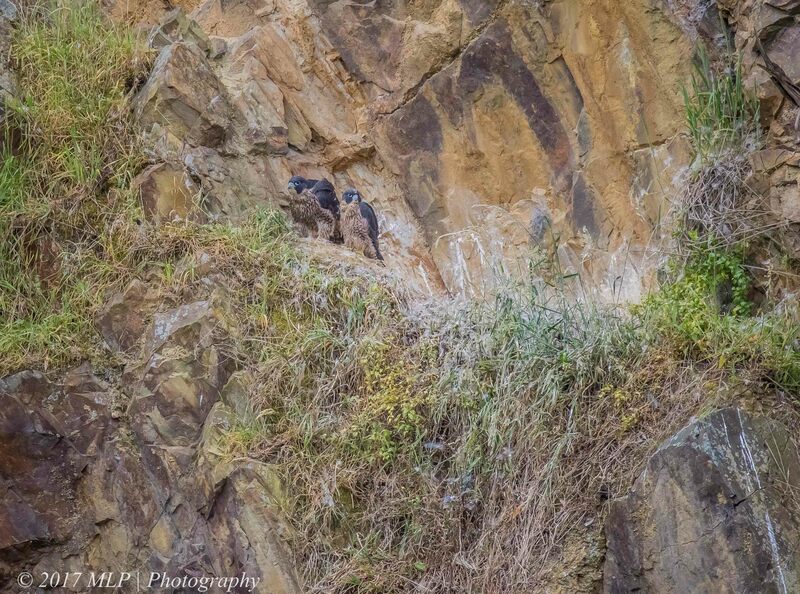 Four Peregrines in one site visit! – you can’t get much better than that…I am looking forward to dropping in again soon to watch their progress and early flights.